No matter how much we try to avoid it, sometimes catching the common cold is simply inevitable. 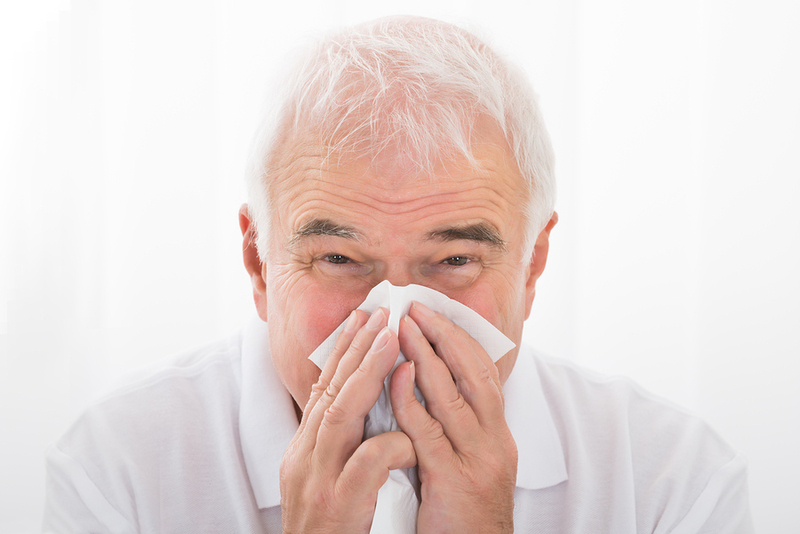 A strong cold can bring anyone down, but when colds impact seniors, it can have an even more devastating effect. This is because seniors tend to have lower and more easily compromised immune systems, meaning a cold can really start to take its toll. If you are helping provide care for a senior loved one in your life, then it is important to make sure you know how to help them treat the cold in a safe and natural way. While prescriptions, sprays, vaccines and over-the-counter medications can all help, there are also a number of natural ways that seniors can treat a cold. Here are some of the best natural remedies that won’t only help seniors get over a cold, but that will help them stay healthy without serious side effects. Vitamin C is known for having immune-boosting properties. Help your loved one take vitamin C regularly throughout the day to start seeing some positive effects as you strengthen their immune system and get their body ready to handle the hardships of a cold. You can take this supplement in pill form or powder form or by getting lots of fruits and vegetables. Vitamin C is great for the immune system, but a multi-vitamin is also another great option. Vitamin A, B2, B6 and D can all help boost overall health and boost the immune system while helping seniors get the nutrients that they need. The sun has some really powerful properties, so consider having seniors spend some time out in the natural sunlight. This will help the body produce vitamin D and help the system create antibodies that can help fight of infections. A few cups of natural, herbal tea can go a long way when seniors have a cold. Specifically look for teas that are meant to sooth and relax the system as they can help seniors get the rest they need while battling a cold. There are also teas with peppermint that can help clear up the sinuses and those with honey that can help coat and protect sore throats. Probiotics are the good bacteria that lives in the body. When your body has plenty of probiotics then it can start functioning in the way it is supposed to and help boost the immune system. Studies have found that athletes who take probiotics were able to combat and prevent colds more than those who don’t. You can take probiotics in supplement form or from food like yogurt. When battling a cold, most people don’t want to move, let alone exercise. However, something as simple as a brisk 30 minute walk can make all of the difference in how a senior feels, their energy levels and their immune system, all while helping to clear up congested nasal passageways. Keep these remedies in mind if your loved one ever comes down with a cold. The more prepared you are before a cold hits, the easier it will be to help your loved one get over this sickness in a timely and effective manner.